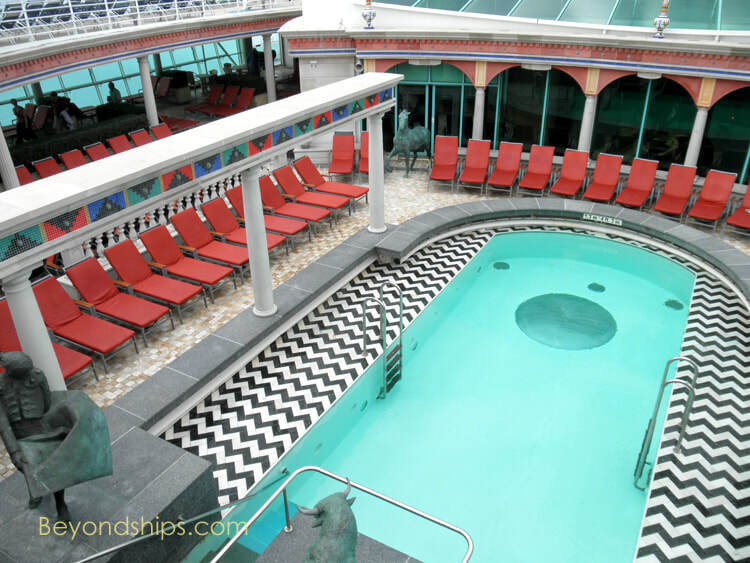 The Main Pool Area was substantially increased when the ship was engthened in 2005 giving it a substantial open-air pool deck. 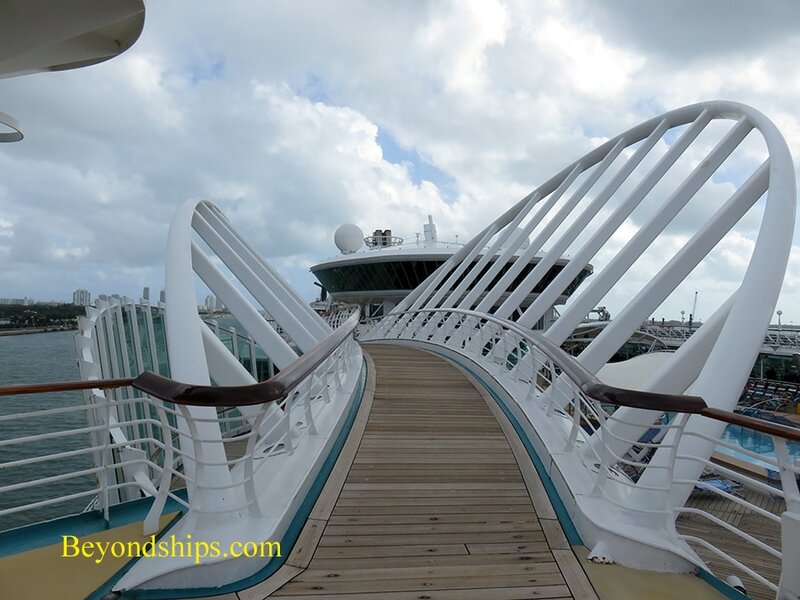 In addition, "suspension bridges" were added on either side adding flare to the area as a whole. 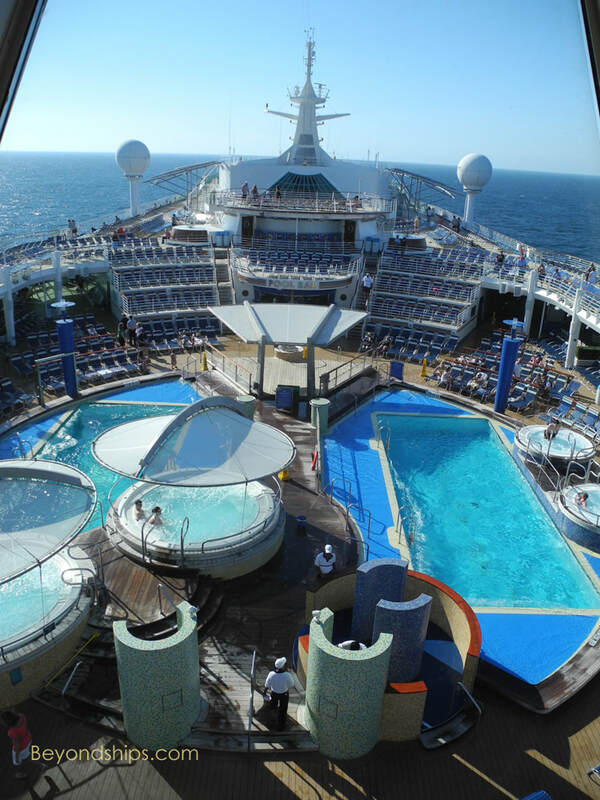 There are two open air pools (above) as well as a splash pool (right). 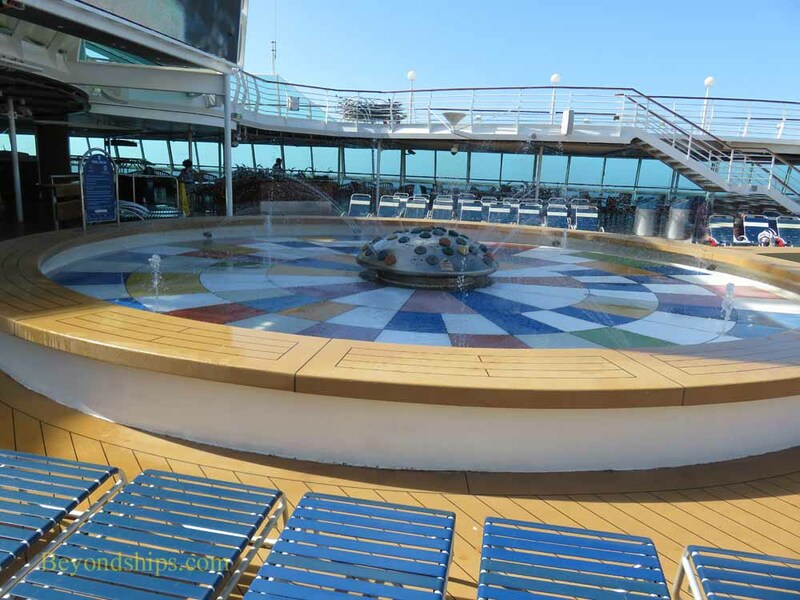 In addition, there are hot tubs by the main pools (below). 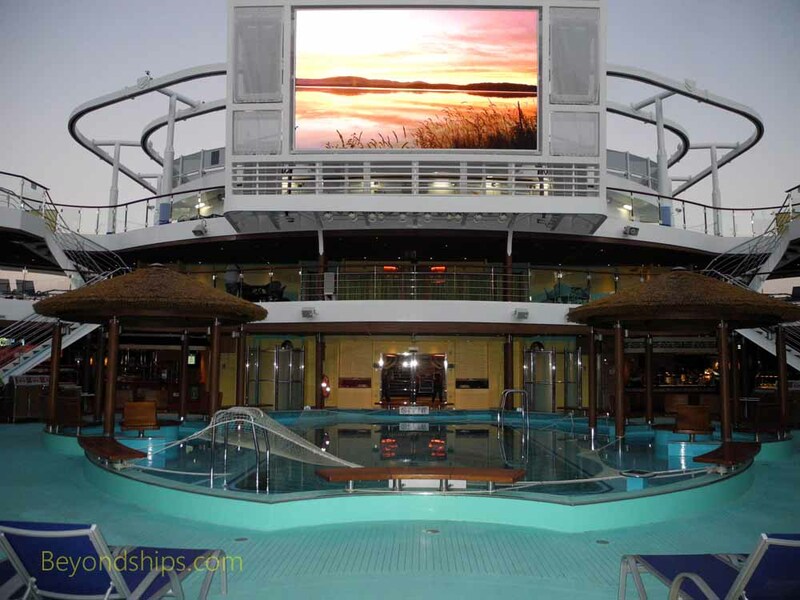 At the forward end of the main pool area is a giant video screen. 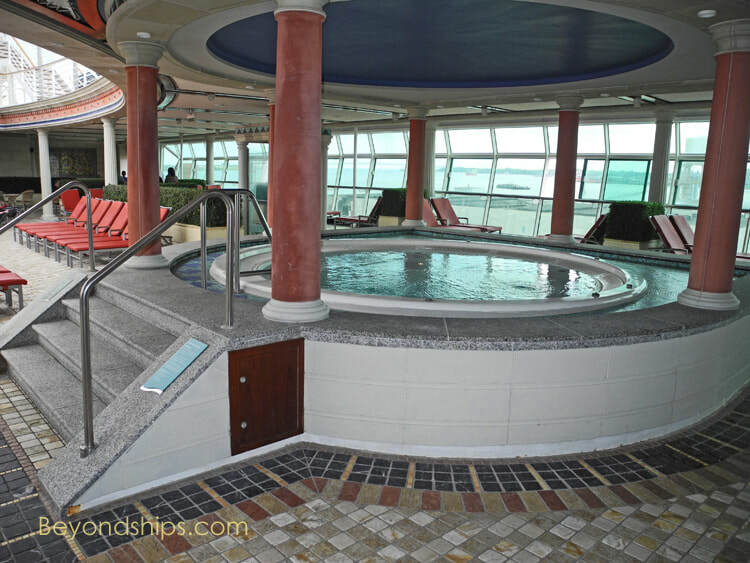 Enchantment also has an adult's only pool area called The Solarium. 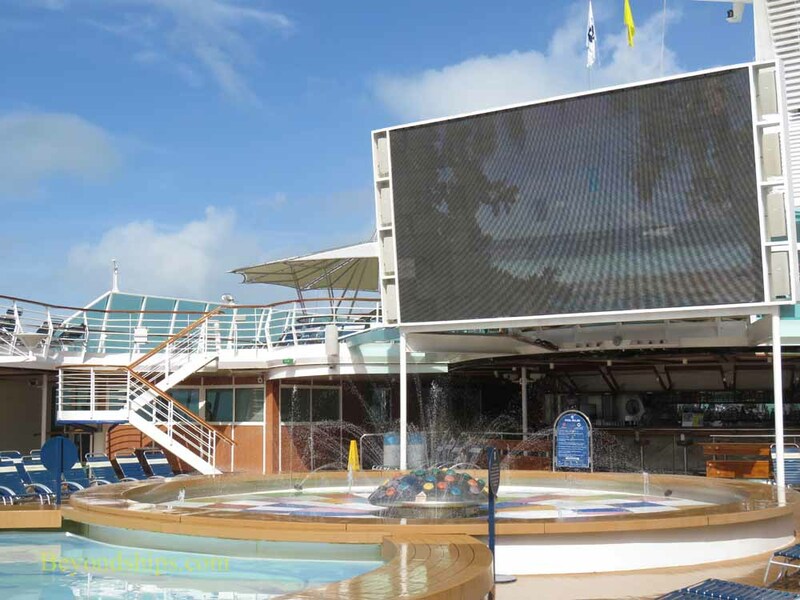 It includes a pool as well as whirlpools and deck chairs under the retractable Crystal Canopy. 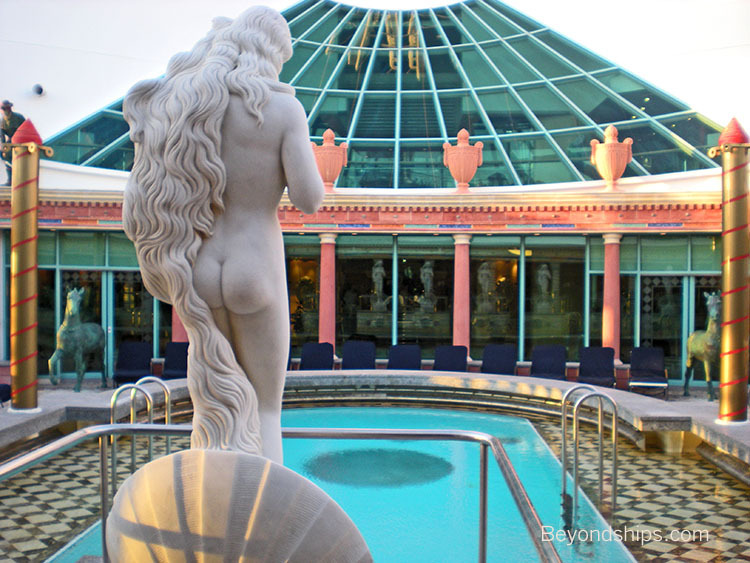 The Park Cafe casual dining venue is also located in the Solarium. 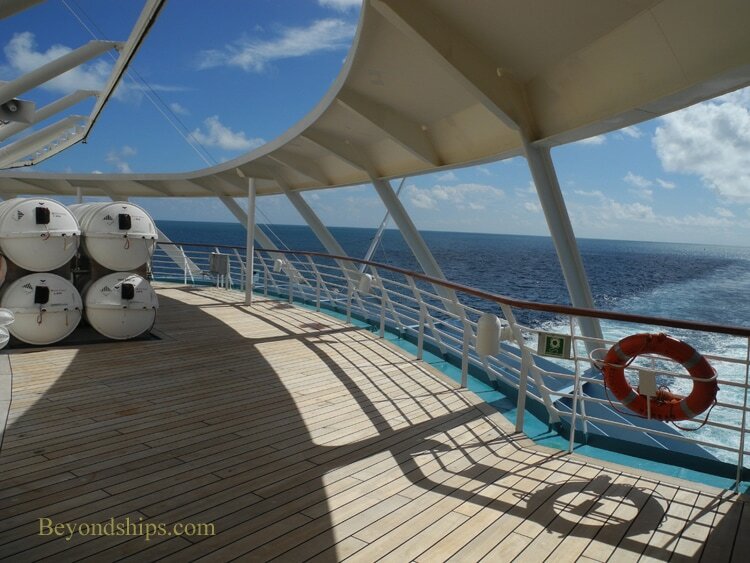 Enchantment a trademark Royal Caribbean Rock Climbing Wall (right). 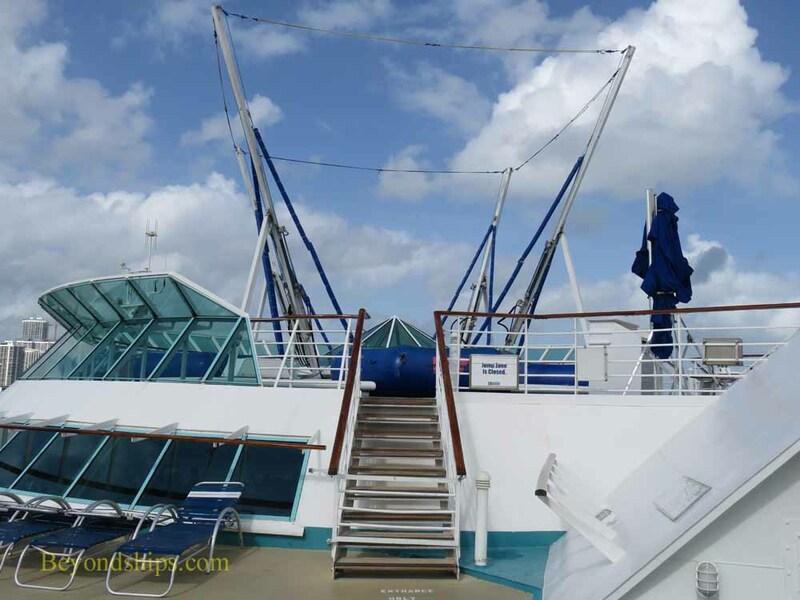 In The Jump Zone (below right) passengers can use bungee cords and trampolines to jump as high as 35 feet above the deck or, due to the location of this area high on the ship, 200 feet above the sea . 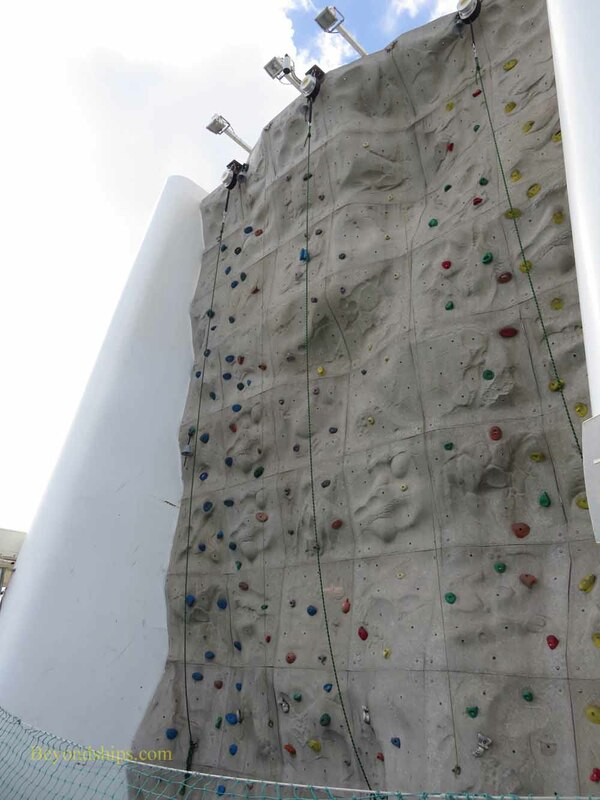 A parent or guardian must sign a wavier for guests under 18 to use this facility. 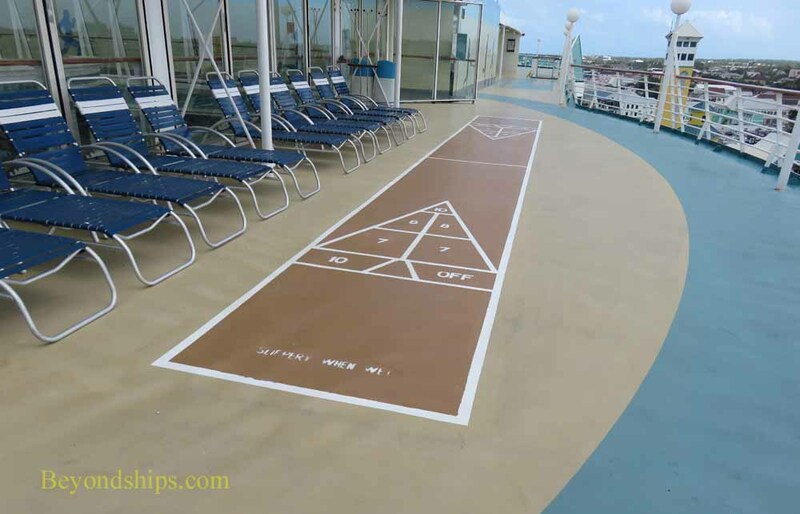 The Jogging Track winds around Deck 10 past deck chairs and shuffleboard courts. 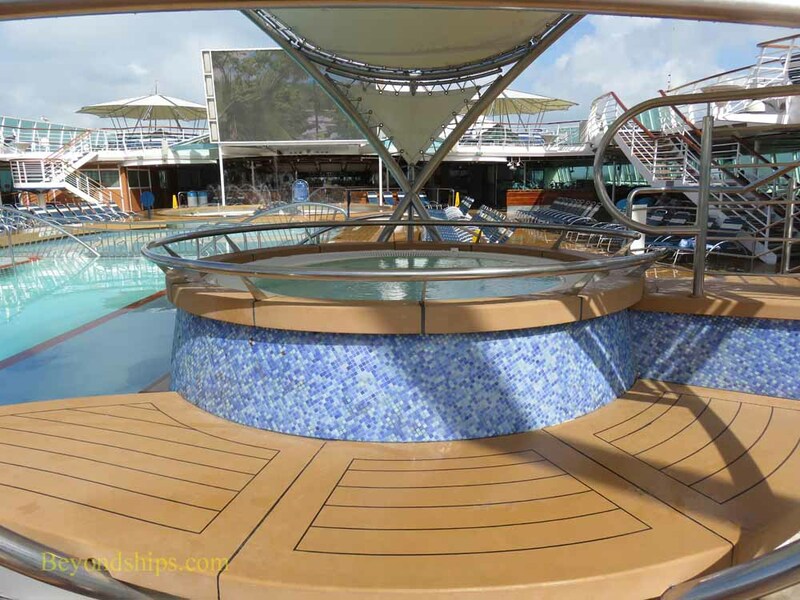 Guests can also stroll the outdioor promenade on Deck 5, which wraps around the ship.